Throughout Southern California, lifeguard qualification swims are now taking place in the unseasonably cool 53-54°F (12°C) water. No wetsuits for these thousands of able-bodied young men and women who help make the over 162 km of white sand beaches safe along the California coast. "I went for it," said former swimming standout Matt Mitchell of Long Beach. "But once I got past the waves, my hands were frozen and I had to settle down into my stroke." With over an estimated 110 million visits by residents and visitors to Southern California beaches from June through September every year, it is people like Matt who prevent mishaps and disasters in the ocean and shorelines. 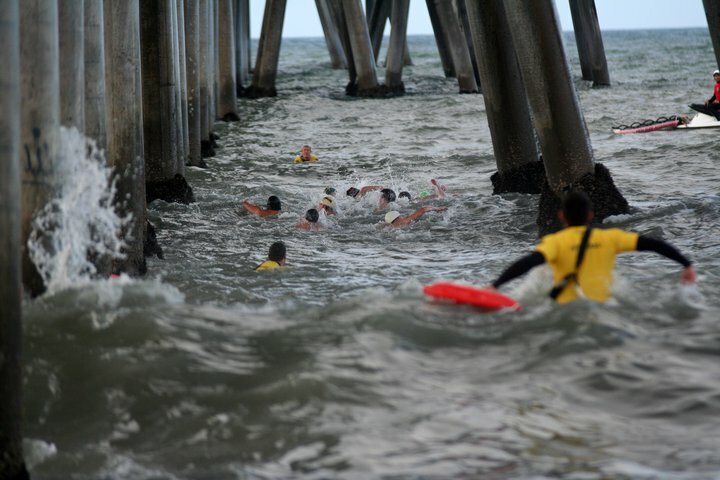 For photos of these California lifeguards, visit Prossor Photos here.